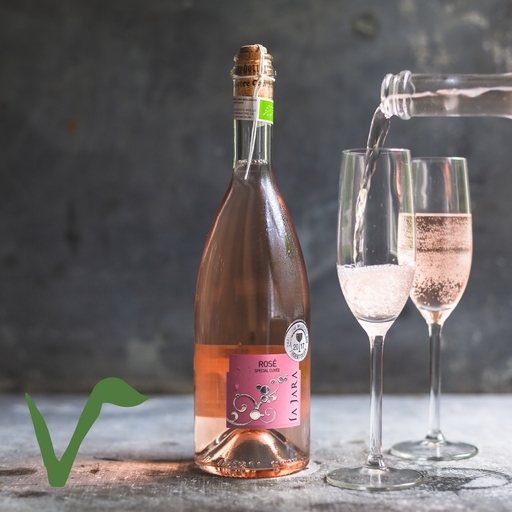 La Jara Rosato Frizzante – perfect pink fizz for parties. Semi sparkling, light in alcohol and fresh, with a hint of apple and raspberry. A dash of red Raboso adds pleasing minerality. It’s a treat on its own, and even more so with nibbles – try olives, or bread dipped in a little olive oil. Store in a cool dry place. Serve chilled to enjoy at it's best! The wine’s delicate, mineral structure hails from vineyards on superior Piave soils, north of the Pinot Grigio flatlands. Typically, Prosecco and Pinot Grigio is grown in the flatlands of Veneto, but Piave’s soil has far better drainage and a much higher mineral content, leading to wines of true authenticity. Brothers Massimo and Paolo Marion run the winery at Piave. It’s a real family business and has been run by the Marions since 1891. They use biodynamic as well as organic methods of production. The winery itself is beautiful: a spotless cathedral of tiles, tanks and beams.